ESI are the German manufacturers behind the popular Near series of powered desktop monitors (you can read our review of the Near 08s at /sos/jan08/articles/esinear08.htm). Their new Unik range is claimed to offer a number of improvements, however, in terms of both design and the quality of the components used. The Unik 05 reviewed here features a newly designed, five-inch, magnetically shielded Kevlar woofer, which is paired with a 49 x 26mm ribbon tweeter with a very light membrane. The tweeter's reduced mass is intended to achieve a better impulse response and to improve overall clarity. The rear-ported cabinet measures 265 x 190 x 210mm (HxWxD), weighs 4.28kg, and has profiled edges intended to reduce diffraction effects. All of the speaker's connections (including the IEC mains socket) reside on the rear panel, as does an input-gain control for setting the sensitivity. The monitors are specifically designed to be used in a 'portrait' configuration, not on their sides, and both drivers are mounted centrally on a piano-black baffle. Given the size and specification of these speakers, it would seem that the main application is desktop monitoring in small studio spaces. However, as with all desktop speakers, these will perform better if placed on isolation pads rather than directly onto the surface of the desk. Power for the drivers comes from a pair of 30W amplifiers fed from a crossover operating at 2.5kHz. The overall frequency response is quoted as 49Hz to 22kHz, but no response curve is provided, so I'll have to assume these figures refer to the standard -3dB points. No maximum SPL is quoted, just the sensitivity of the speakers, which is given as 89dB for 1W, measured at one metre between 300 and 600 Hz (±3dB). The input is on an XLR/jack 'combi' connector (balanced XLR but unbalanced jack), and when the speaker is powered up, a blue LED shows on the front panel. There are no EQ settings to tweak, but given the inherently limited low end of a small monitor of this type, they shouldn't be needed. 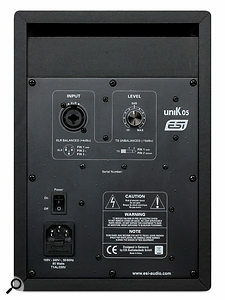 The rear panel hosts the Unik 05's input sockets, power switch and input level knob. Auditioning the Unik 05s using a variety of mixes and commercial material confirmed that their bass extension is, indeed, limited, but such bass as there is remains tight and punchy, so at the low end the speakers are well suited to smaller spaces, where full-range monitoring would simply exacerbate any room problems. However, I felt that the upper mid-range sounded noticeably 'shouty' and quite aggressive, even when the speakers were aimed straight down the room, rather than turned in to face the listening seat. 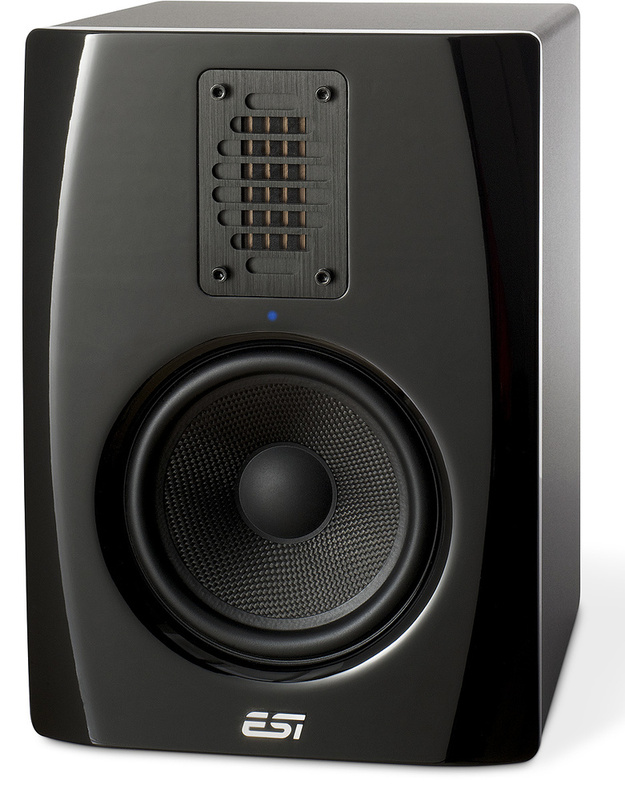 This kind of character certainly helps the listener to identify detail and percussive transients, but as my own preference is for tonally neutral monitors, I found them quite tiring and kept wanting to turn them down. Of course, there are engineers who gravitate towards speakers that push the highs forward, and for those people, the Unik 05s might be just the job. A lot is written about how monitors should sound, but the human hearing system is remarkably adaptable, so as long as you become familiar with the sound of your monitors using commercial mixes, it should be pretty easy to gauge the balance of your own mixes. If you're after a neutral monitor that sounds comfortable for extended periods, they may not be your first choice, but the Unik 05s certainly offer value at the budget end of the market, and they pack more punch than their size might imply. 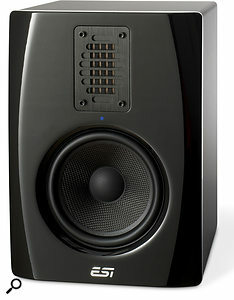 The smaller speakers from KRK, Alesis, Samson and Fostex probably come closest in terms of price and size. Limited bass extension typical of smaller desktop speakers. A compact and affordable monitor that will suit those who favour a bright high end, but may be too forward-sounding for those who prefer a more neutral tonal balance. £398.40 per pair including VAT. Time + Space (0)1837 55200. Kaysound +1 514 633 8877.